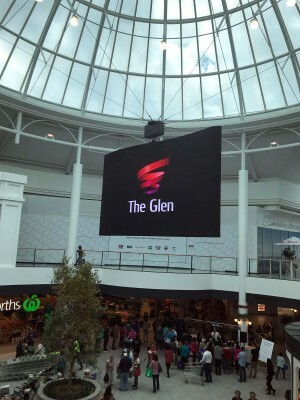 BollingerGrohmann Engineers was employed by Urban Arts Project to design a structural system for a LED screen that has minimal impact on the existing dome structure of the food court of the Glen Waverley Shopping Centre. The new LED screen is curved and is 5 x 3.3m tall. 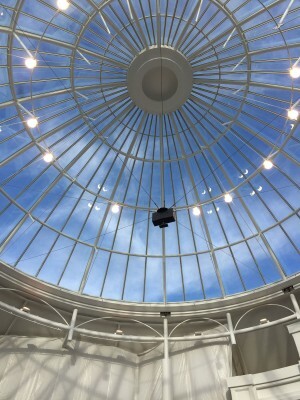 The screen rotates of 180 degrees within the existing dome structure. The rotation of the screen caused dynamic imposed forces onto the steel dome. 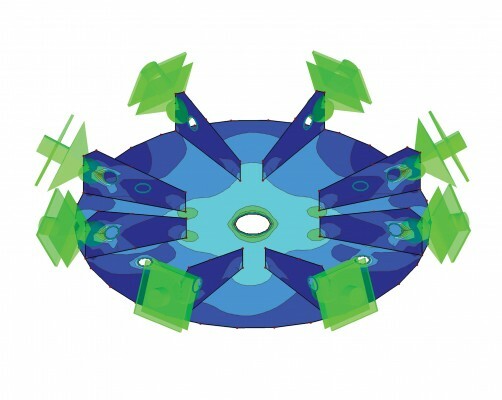 Due to extensive analysis of the steel structure of the dome we could design a system that only relies on cables without any additional necessary reinforcing of the existing steel dome structure. We have been responsible for the concept, design and the analysis of the existing steel dome - from concept to installation in 4 weeks.